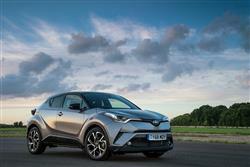 Toyota aims to bring something fresh to the growing compact Crossover segment with its C-HR. Here, concept car looks are matched to proven mechanicals that include a hybrid powerplant. If you're thinking of buying something Qashqai-sized in this class or one of the trendier compact models, then this fashionable contender could be exactly what you're looking for. What if you want a fashionable little Crossover - say, something like a Nissan Juke? If that's the case, you may have been a little put off by the cramped interior and rather average build quality you get with models of that sort. So what if another brand were able to offer you a contender that was even trendier, better made, more efficient and not that much more expensive? You'd be interested wouldn't you? 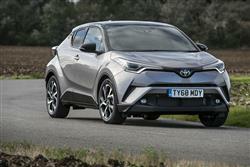 Well that's apparently exactly what's being offered here in the form of Toyota's C-HR. 'C-HR' is supposed to stand for 'Coupe High-Rider' and sure enough, this car has a very coupe-style look. More importantly, we're told that it drives in a coupe-like way too. Sounds promising doesn't it? Let's check this model out. 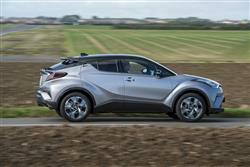 The C-HR is being offered with two familiar engines from Toyota's Auris hatch. The most affordable variant gets a 114bhp 1.2-litre turbo petrol engine and is available with a six-speed manual gearbox or a CVT automatic - and front or all-wheel drive. Alternatively, buyers can choose a full hybrid powertrain with 120bhp, but that's 2WD-only. For the C-HR, Toyota has made its hybrid system lighter and more efficient, and engineered it to give sharper performance. Detailed design changes to the 1.8-litre hybrid engine have resulted in 40% thermal efficiency - a world-beating level for a petrol unit. Other hybrid components have been made lighter and smaller, and have been repositioned for improved packaging. 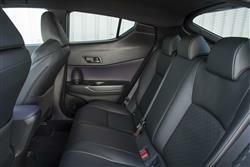 As for handling, well this Toyota aims to set a fresh standard in a segment not noted for sharply-responsive models. The engineers realised that the major issue with taller Crossovers of this sort related to bodyroll and its detrimental effect on ride comfort. Huge efforts have therefore gone into structuring this model's TNGA platform and giving it a low centre of gravity so that the car doesn't pitch about through the corners. Steering feel has been emphasised too, something else that tends to be lacking on this class of car. As a result of all this effort, Chief Engineer Hiroyuki Koba is convinced that a C-HR handles up to a standard comparable with any conventional Focus-segment hatch. 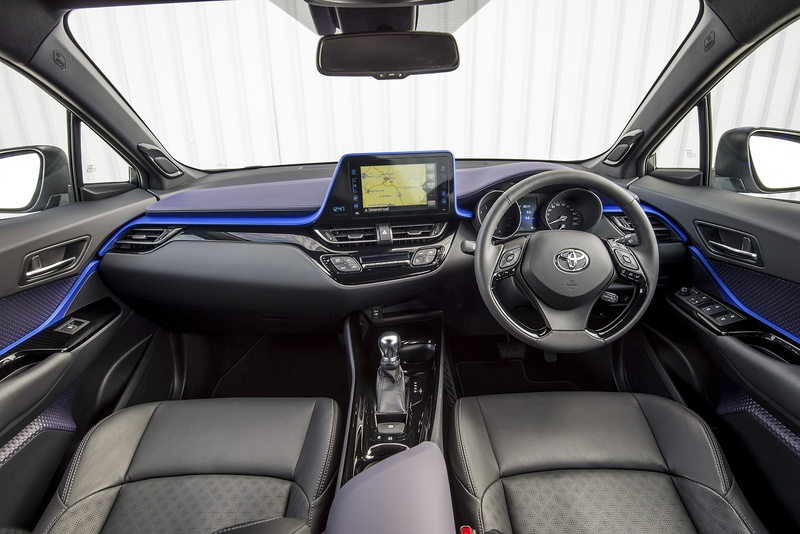 Toyota's first proper entrant in the Crossover segment should cause quite a stir, styled with a combination of a coupe-like upper body and the powerful underpinnings of an SUV. Coupe-like elements include disguised rear door handles, integrated into the rear pillars. At the rear the strongly tapered cabin features a top-hinged tailgate that gives access to loadspace big enough to carry luggage for five people. This styling contrasts with the pronounced flaring of the wheel arches which gives C-HR a wide and powerful stance. 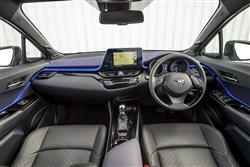 Inside, layered architecture for the instrument panel aims to create a warm and welcoming feel and there's an 8-inch 'Toyota Touch 2' multimedia system that's angled slightly towards the driver. Because the touchscreen stands proud of the dashboard, rather than being enclosed by it, the upper section of the dash is considerably shallower in depth, helping secure good field of vision for the driver. The two-tiered front seat design combines a slender, sporty upper section with a more strongly bolstered and supporting lower part. The difference between the two is emphasised by the use of different tones, textures and patterns in the upholstery. Overall, there's a high quality feel to the cabin and decorative parts around the dash are finished in high-quality piano black and satin silver trim. Expect C-HR ownership to need a £22,000-£30,000 budget of the same order as required by rival trendy Crossovers in this class like Honda's HR-V and Jeep's Renegade. There are three trim levels - 'Icon', 'Excel' and 'Dynamic'. The proposition here gives you slightly less space than models like Nissan's Qashqai and Renault's Kadjar but more fashionable looks and better on-road dynamics. It's a formula will can see quite a number of potential buyers liking quite a lot. Equipment levels fit with this approach. 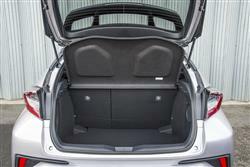 Top level models may be specified with heated front seats, a smart entry system, rear privacy glass, bespoke upholstery (including part-leather), a Park-Assist system, 18-inch alloy wheels and bi-tone metallic paintwork. 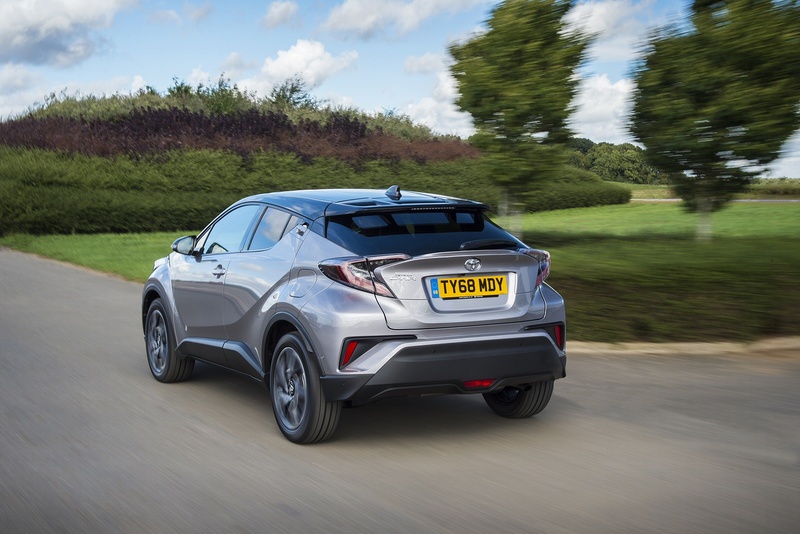 In addition, the C-HR can be equipped with a tailor-made JBL premium audio system, comprising an eight-channel, 576W stereo amplifier and nine speakers, including two newly-patented acoustic JBL wave guides - known as horn tweeters. 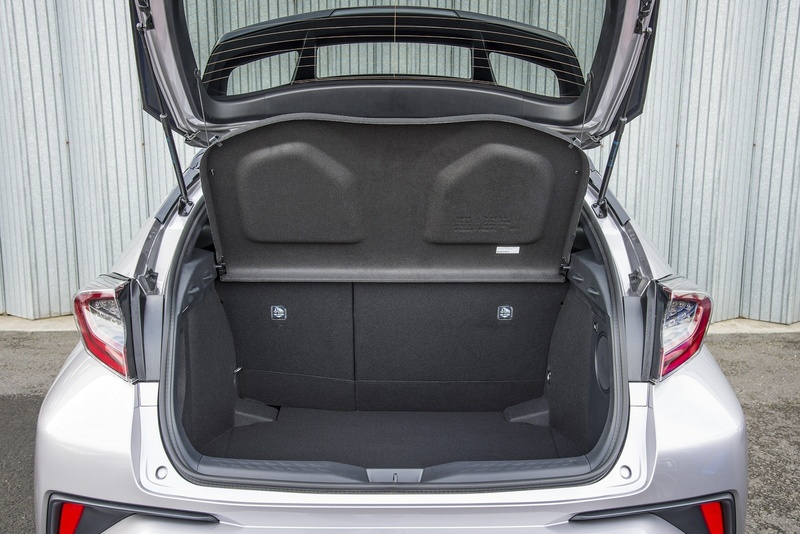 More importantly, the Toyota 'Safety Sense' package is standard across the range. It includes a Pre-Collision System with pedestrian warning, Adaptive Cruise Control, Lane Departure Alert with steering control, Automatic High Beam and Road Sign Assist. Hybrid engines are rare in the Crossover segment. In fact, only Kia's Niro can offer petrol/electric technology in this class and that model looks pretty frumpy in comparison to this one. 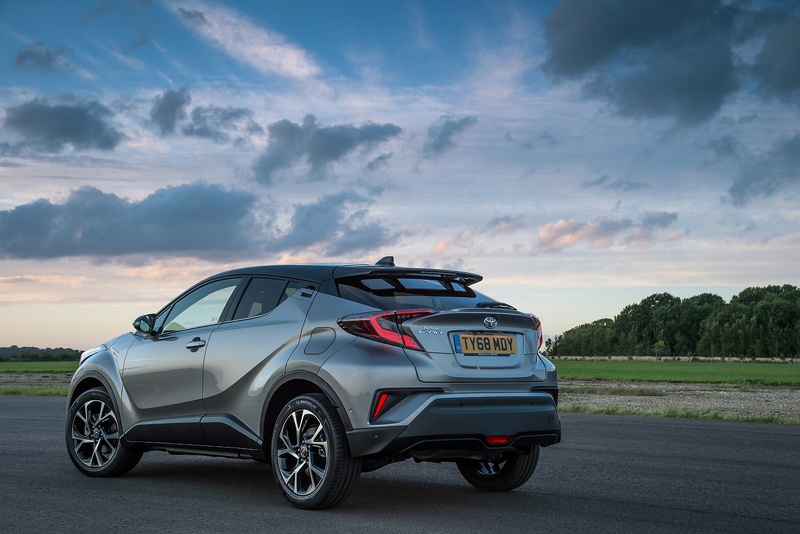 It'll be less efficient too, for a Hybrid-powered C-HR can return up to 78.5mpg on the combined cycle and up to 82g/km of CO2. The alternative engine is a 1.2-litre petrol turbo unit. In front-driven form, this manages up to 51.9mpg on the combined cycle and up to 125g/km of CO2. Specify the CVT auto gearbox and those figures fall only slightly to 48.7mpg and 134g/km. Go for the CVT gearbox and AWD and you're looking at 45.6mpg and 143g/km. If you�re looking for a new Toyota C-HR 1.2T Dynamic 5dr [Leather] Petrol Hatchback for sale, you�ve come to the right place. 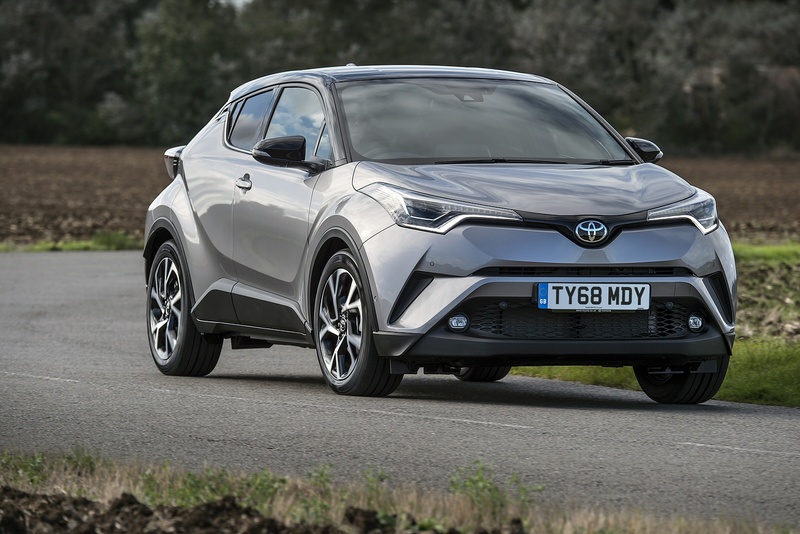 At Bristol Street Motors we don�t just have the best Toyota C-HR 1.2T Dynamic 5dr [Leather] Petrol Hatchback deals, we also offer friendly advice and help with all your enquiries to ensure your buying experience is a happy experience.